There may be no better place for a group of Admirals to sail to a championship than the U.S. Naval Academy, and that is exactly what the Severn tennis team did on Wednesday afternoon. 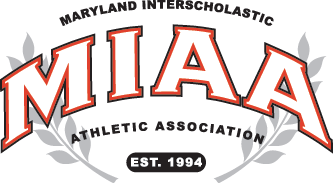 Playing on Navy’s indoor tennis courts, Severn swept all five individual matches against rival Archbishop Spalding, taking the MIAA B Conference tennis championship match, 5-0. Severn only dropped two sets all afternoon. No. 1 player Ryan Andrews scored a 6-4, 1-6, 1-0 (7) victory over Spading’s James Foxen and Severn’s Eric Resnick, at No. 2 singles, defeated Robbie Mills of Spalding, 6-1, 6-3. At No. 3 singles, Severn’s Henry Creamer cruised to a 6-2, 6-0 win over Josh Gunther. The No. 1 doubles match went back and forth. Severn’s Nate Roche and Aiden Carter battled their way to a 6-4 win in the first set, but got swamped, 6-0 by David Blanchard and Ryan Baldwin in the second set. The Admirals regrouped in the third set an took the match with a 6-2 set victory. The No. 2 doubles match also went to Severn. Grant Shanahan and Alex Honick defeated Jack Eckhardt and Ben Salinger, 6-1, 6-2. It was Severn’s second consecutive B Conference crown and their sixth overall. The Admirals tend to win their tennis titles in pairs, capturing the crown in 2006 and 2007 and, previously, in 2002 and 2003.